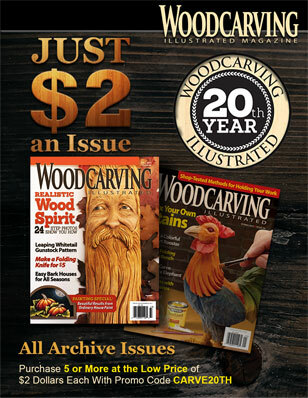 Before photocopiers were widespread, woodworkers and crafters enlarged patterns by hand. 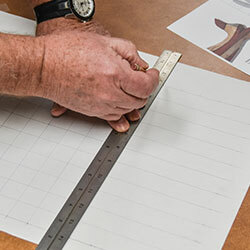 While there are hosts of drafting tools that make this possible, the easiest way to enlarge a pattern is to use the grid technique. 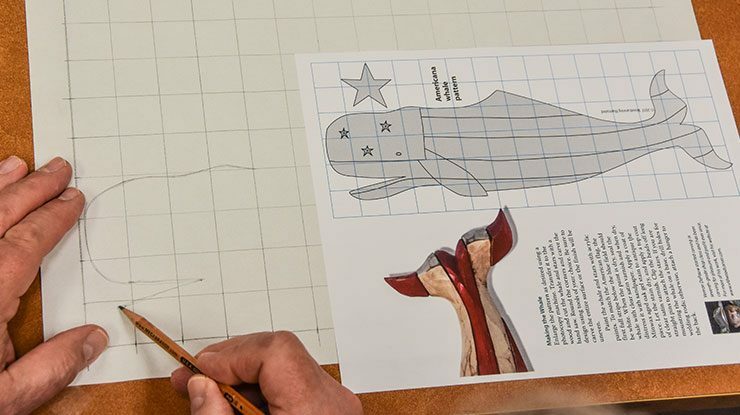 For this technique to work, you need to draw a grid on the original drawing or pattern and draw another, larger, grid on a larger sheet of paper or the wood blank itself. 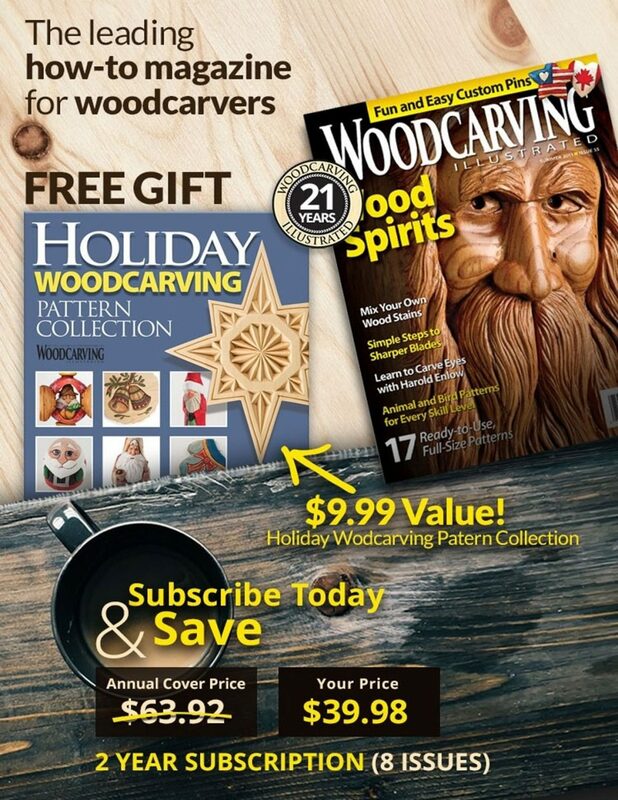 When we add a grid to a pattern in Woodcarving Illustrated, we size it so that if you redraw the project on a 1″ (2.5cm)-square grid, you’ll create a pattern the same size as the author’s original. 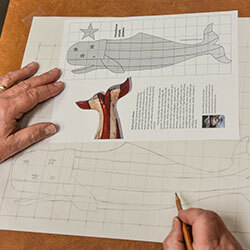 However, you can also use a larger or smaller grid to size the pattern however you want. This method works well if you are transferring the pattern to an irregularly shaped blank, or if you want to size a pattern to fit exactly on an existing blank. Just draw a grid of equal-sized squares on the blank and transfer the pattern square by square. 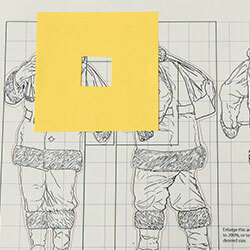 Step 1: Draw a 1″ by 1″ (2.5cm by 2.5cm) grid on a sheet of paper. Step 2: Pick a square on one side of the pattern. Find the corresponding larger square on the paper. Note where the pattern lines enter and exit the pattern square, and mark those locations on the larger square. Connect the dots and draw exactly what you see in the pattern square onto the larger square. Step 3: Continue transferring the pattern squares to the larger squares. 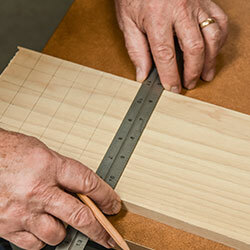 Some woodworkers mark the pattern squares as they draw to keep track of their progress. 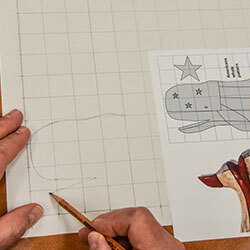 When transferring a complex pattern, cut a square from the center of a self-adhesive note. Move the note around on the pattern as you transfer the lines to the larger squares. 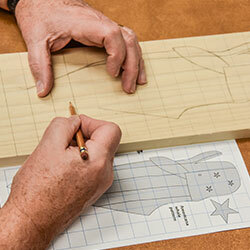 Step 1: Draw a 1″ by 1″ (2.5cm by 2.5cm) grid on a wood blank. 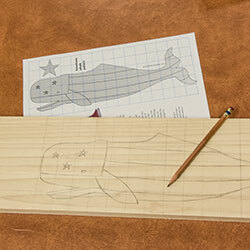 Step 2: Draw the outline of the design onto the blank. Some carvers stop at this point, and sketch the details as they carve. Step 3 (optional): Draw the details onto the blank. Double check to make sure you drew the pattern correctly. 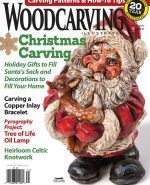 CLICK HERE to find more projects like this from Woodcarving Illustrated Winter 2017.